Much like having to pay for utilities or car repairs, paying for car insurance is one of those annoying expenses that we all have bear, even if we don’t really want to. But while purchasing auto insurance may be unavoidable, paying too much to insure our vehicles are something to watch out for. Although most of the time we simply just pay the bill without really thinking about it, there are actually some clever ways most of us can decrease our car insurance rates, at least a little. Like with home insurance, it is important to be vigilant about reviewing your auto insurance policy on an annual basis to make ensure you are getting the best rate and to find out if there are any new or additional discounts available. Your insurance agent will not do this for you, at least not without you asking him to. Instead, you must be your own best advocate when it comes to paying less for insurance. Interestingly, according to the Allstate policy specialist I spoke with, choosing the cheaper premium may not always be the best route to take. 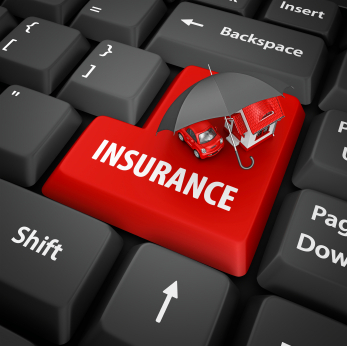 He suggested determining what coverage you need or expect to require as well as researching claims procedures (such as time to respond, special benefits, etc. ), and then determining what type of relationship you want (face-to-face, web only, etc.) Once you’ve researched all these factors, and created a list of companies that offer what you are looking for you will have a much better way of comparing cost to value. One of the most effective ways to pay less for insurance is to be a safe and conscientious driver, as the best premiums and rates are offered to those without speeding tickets or accidents tarnishing their records. On top of that, many insurance companies give bonuses and credits for every additional year of safe driving. But what if your record is already tarnished? Is there any way to redeem yourself once you’ve made a mistake? Surprisingly, yes. While you can’t magically erase a bad driving record, you can vow to become a better driver from now on, and the longer you can go without any driving infractions, the more likely you will be to get a discount. Turn off your cell phone before getting in the car, eliminate other distractions as much as possible, and obey the speed limit and other traffic signs. Furthermore, it is sometimes possible to go to traffic or driving school to keep tickets from appearing on your driving record. Be sure to inquire if this is a possibility in your area! Increasing your deductible is a quick and easy way to get a lower rate. Yes, your deductible will cost more if you ever need to file a claim, but as a good driver you may never need to. Even increasing your deductible by just a few hundred dollars can save you thousands over the long run. Of course, as our Allstate policy expert reminds us, just make sure it’s still an amount you can afford in case there comes a time that you do have to make a claim. Remember too that changes you make don’t have to be permanent—if the deductible feels too high you can always lower it again later on. Insurance is often the last thing we think about when shopping for a new vehicle. We become distracted by all the beautiful colors and the shiny bells and whistles, and it isn’t until we actually have to write that first insurance check that we consider how much our pretty new car is really going to cost us. Thus, before purchasing a new or used vehicle it is important to do a little research in order to factor in the cost of insurance. Older vehicles are generally much cheaper to insure than new vehicles because their value is greatly reduced. But, according to our Allstate analyst, age and value are not the only factors that come into play: The type of car could impact your insurance rates. For example, safety aspects of certain vehicles may end up costing less, while an expensive car could cost more to insure because it can cost more to replace. You also may be eligible for discounts if your vehicle includes certain safety features or is deemed an economical car. Most auto insurance companies will offer discounts for vehicles that incur low annual mileage, which means that if you own a car that doesn’t get driven much or if you can find a way to drive less, you can save a bundle. There are many ways to do this, including carpooling to work (which can also provide additional carpool discounts), moving closer to work, walking, bicycling, or taking public transit when possible, or becoming more efficient with your errands by bundling them as much as possible. The added benefits of driving less include less wear and tear on your vehicle, significant gas savings, and less risk of accidents. While most newer vehicles come pre-equipped with standard safety features, installing additional safety features to older cars can help greatly decrease your insurance premium. Vehicles equipped with safety features such as automatic seat belts, running lights, an alarm system or anti-lock braking system can all save you money on your policy. If your car doesn’t already have ABS installed in it, check to see if it would be worth the cost of installation. Insurers love the anti-lock braking system because its been tested thoroughly as a safety device and has a track record for effectiveness. Anti-lock brakes are highly effective in driving conditions where you may need to brake hard. You can keep control of the vehicle better especially when it comes to stopping on ice in a pinch. Likewise, installing an anti-theft device may also help reduce your premium. Check with your insurance agent to be sure. In addition to safe driver discounts, most insurance companies offer a variety of other discounts on auto insurance. While these do vary by state and company, just a few of the discounts that you may be able to take advantage of include Good Student Discounts, Senior Discounts, Retired Discounts, and Resident Student Discounts. At Allstate, Teen drivers can even take a TeenSmart driving class to lower their premiums. There can also be significant discounts available for paying early, paying in full, or paying through automatic withdrawal. Furthermore, while some occupations are not at all favored by insurance companies, others may qualify for discounts. You can end up with a higher rate of insurance for jobs in such fields as journalism, real estate agents, sales representatives and even entertainers, but giving your insurer information that is as specific as possible can help lower your rate. A journalist for example may get a high premium but if she is listed as an editor then she can get a lower premium. In any case do NOT be dishonest about your occupation or you may hurt your chances of qualifying for future claims. The occupation you state has to be reasonably close to what you do for a living. While taking the time to review your auto insurance policy may not be the most enjoyable hour of your life, the thrill of saving a couple of hundred dollars should more than make up for a few minutes of tedium. These nine smart discounts are certainly a great place to start, but always remember be your own advocate and to seek out the best possible rate no matter what.